Task Storage is a range of quality no nonsense storage with short lead times. Choose from 2tier – 725mm high, 3 tier 1130mm high, 4 tier 1490mm high, 5 tier 1850mm high & 6 tier 2210mm high. Optional doors in wood or glass are also available and all come with an unbeatable 10 year guarantee. 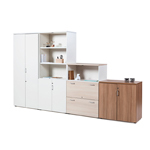 Tops and Shelves with 18mm solid backs and sides for outstanding rigidity. 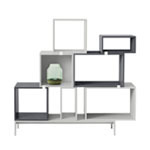 All bookcases have movable shelves with the ability to add additional shelves if required. Bookcase 1490, 1850 and 2210 all have 1 fixed shelf for added stability (second shelf). All Bookcase doors are lockable with the exception of glass doors. 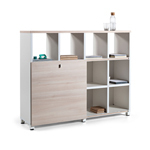 1200mm Wide Tambour Storage units have metal shelves which accept hanging files. Tambour doors are Silver RAL 9006. Monday to Friday 9am - 5:30pm. We are also available outside of normal working hours by prior arrangement.